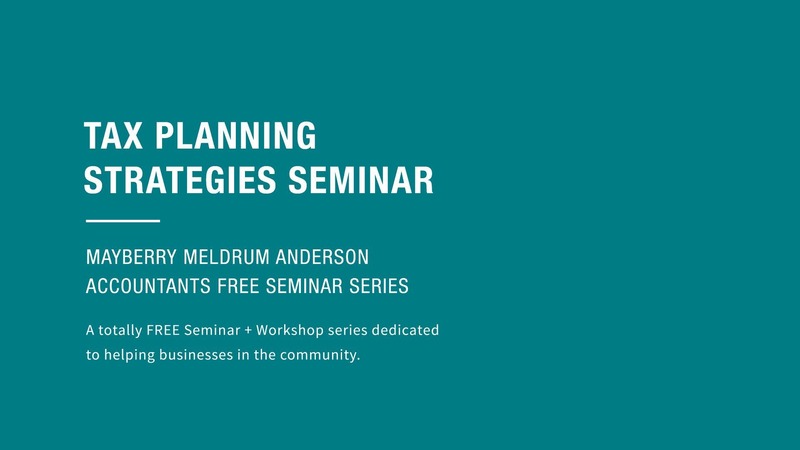 Tax Planning Strategies To Minimise Your Tax In 2019 – we will discuss the advantages and disadvantages of the many tax planning strategies that are available to small businesses in Australia. We will guide you to an understand of what you need to consider, and what the implications will be, and also how best to implement these strategies prior to 30th June 2019. We will finish up with a quick overview of your current trading structure, and will encourage you to consider if this is the best fit for you right now. Your accountant will tell you how to get the most tax deductions to reduce your tax, which is great. However, in addition to this there are several other things you can do to save tax while investing to grow your wealth. We shouldn’t be focused on spending money to get a tax deduction, we should be focused on investing money to grow wealth and then also as a secondary benefit get a tax deduction from it. After minimising tax as much as possible, if it’s been another good year, there will still be a tax bill. So how do you make sure this doesn’t become a problem? If you’ve ever had difficulties paying your BAS or income taxes on time, it might be time to look at altering your business cash flows. My P&L says I made good money, but where is all the money?